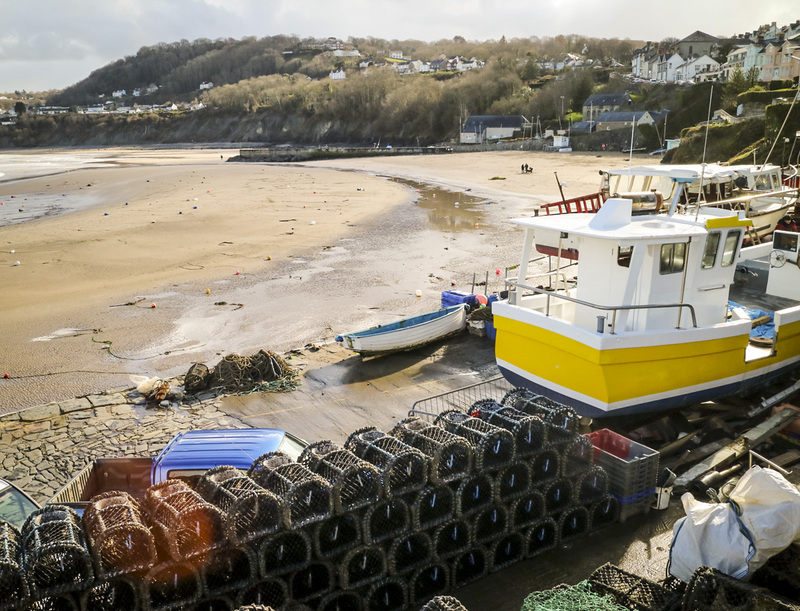 During our roadtrip through some of the most stunning sceneries in Wales we did a few quick stops in small towns either for sceneframing photos or for food and shelter. 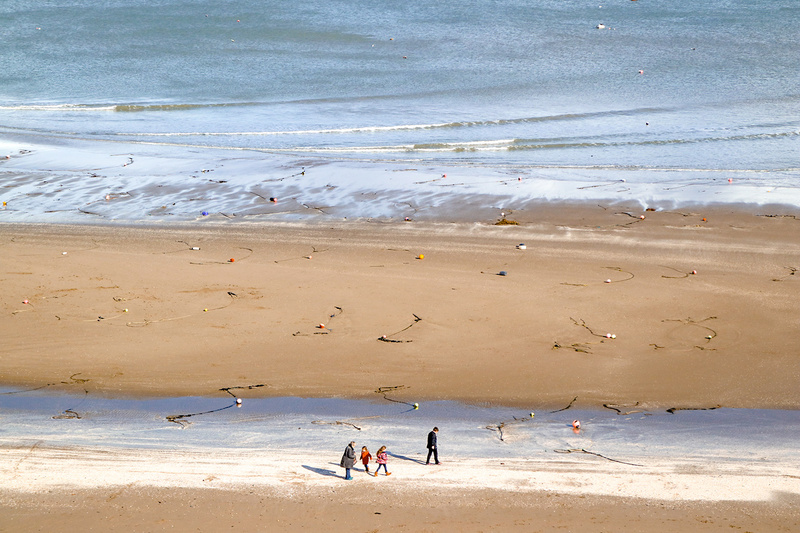 One of the places we checked out was New Quay, home for 1,200 people and a really stunning place to visit. 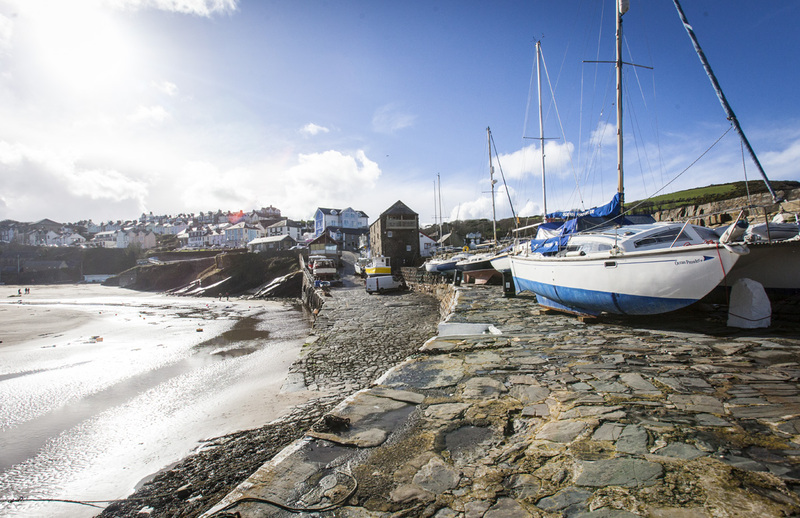 The exciting history of the village includes a lot of fishing and ship building, but also a flourishing business of smuggling spirits and tobacco as the beaches, bays and secluded coves offer some ideal hiding places for those who wish to keep something hidden. These days, the town seems more like a place where one would love to spend one’s retirement days. 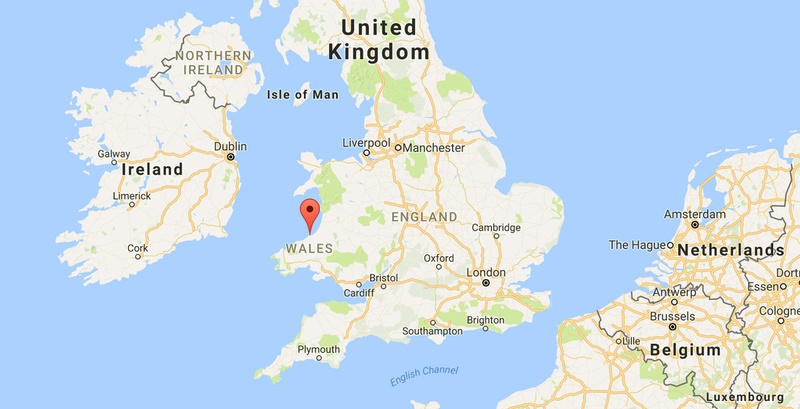 New Quay is located on the Cardigan Bay coast of West Wales with some stunning sandy beaches and an attractive little harbour. 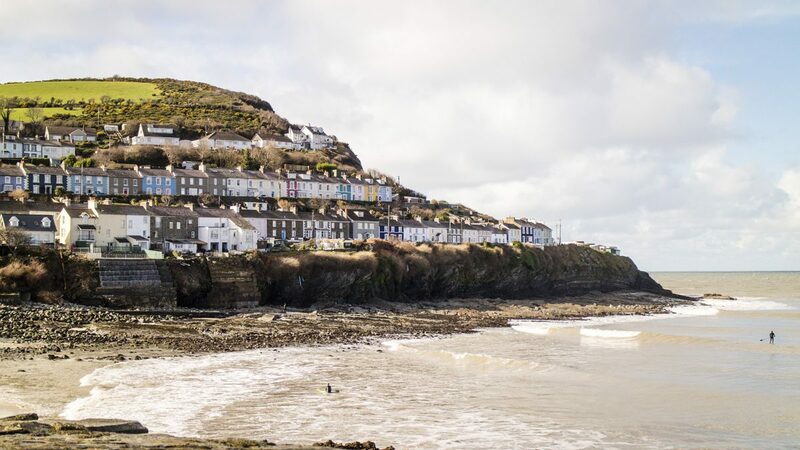 New Quay is also the filming location for The Edge Of Love, a film about a poet and two free-spirited women starring Keira Knightley, Sienna Miller and Cillian Murphy. Even though we were in a bit of a rush, we managed to spot one of the filming locations and talk to a few locals about the filming of the movie. “Yeah, my granddad was an extra in that! He had to shave off his beard for it and he looked really funny to us”, said one local woman. We also tried to find out where a scene featuring Cillian Murphy was shot (because helloooooo, Cillian!) but none of the locals recognized the steps his character was sitting on in the screenshot. But this sceneframe of Keira and Sienna turned out to be a nice one, even though the screenshot we had was a bit on the blurry side. 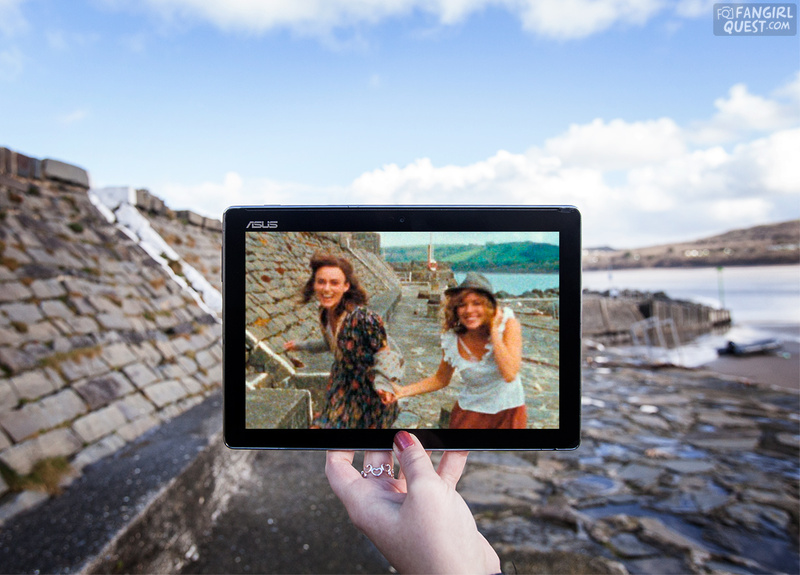 But the filmmakers aren’t the only famous creative people to have visited or stayed in New Quay. Perhaps the most famous Welsh poet Dylan Thomas also spent some time in the town in the 1940’s. 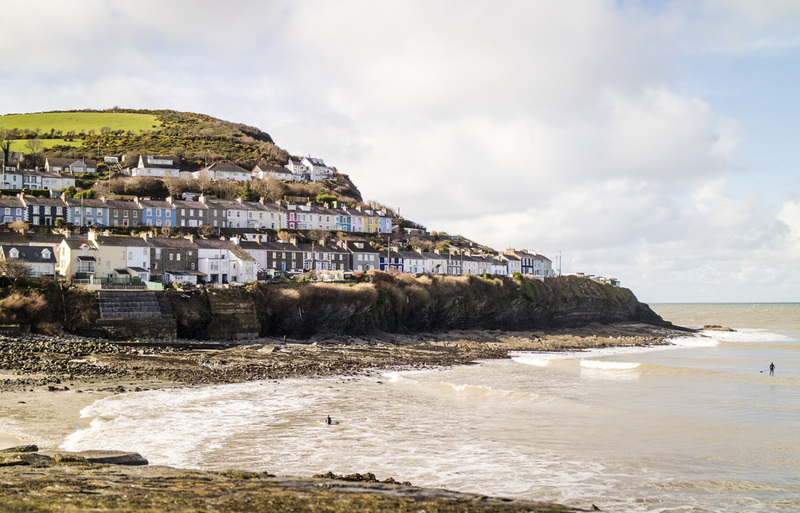 Dylan Thomas lived in New Quay during 1944-45 and many of the characters and indeed New Quay itself, is thought to be the basis for his famous play for voices Under Milk Wood. Like we’ve said in the previous stories from our roadtrip in Wales, we weren’t super lucky with weather this time. It was raining most of the time, but during our stop in New Quay, we actually got a glimpse of some sunlight. The weather was still chilly, but even just the sunshine cheered us up a lot and I got to snap a few photos without getting the gear all wet. On the beach, we could see couples and families walking about, enjoying the weather, and little dogs running back and forth with their owners. It’s fun to imagine what it would be like to live in a beautiful village like this. Even though spending the relaxed days of retirement in a little Welsh town like this doesn’t ever become reality, it’s certainly something very nice to think about. I can’t get over how you find these locations. Do you have a team of interns locked in a basement with an atlas and a Netflix account? It’s just mindblowing. 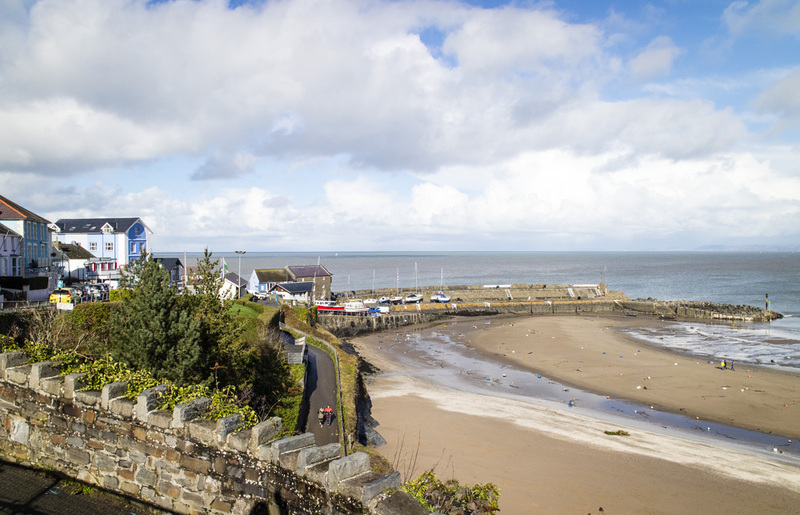 I visit New Quay every year and have done for nearly 15 years. It’s an amazing place that I hope to live in one day.